CZ, 2014, in collaboration with Tomáš Pejpek, Ondřej Spusta, Pavel Martina, and Szymon Rozwalka. Competition—2nd prize. 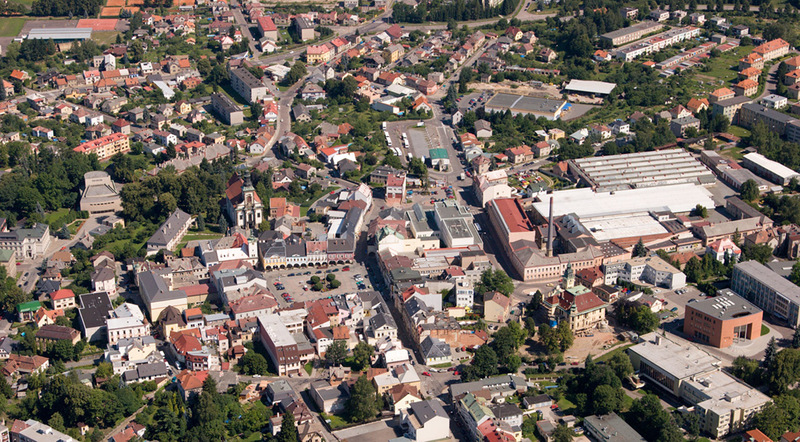 «Perla» is a an industrial area located in the very center of the town Ústí nad Orlicí, CZ. A former textile factory, it has long stood abandoned and disused. 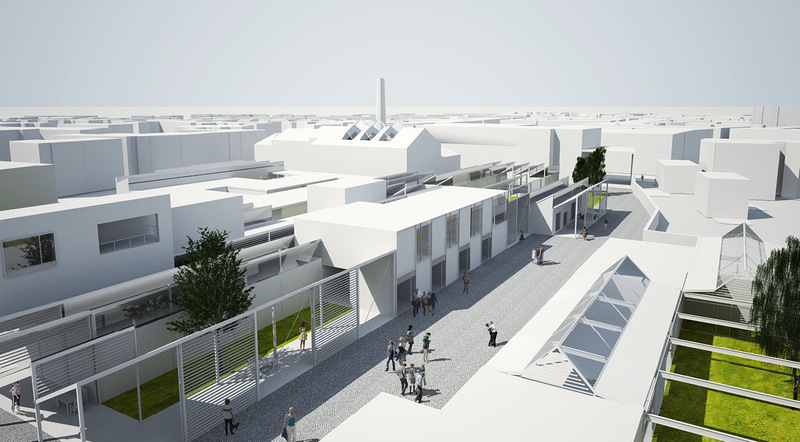 Our design was based on respect for the aesthetics of the old factory. Wherever possible, we reused its fragments and highlighted its strange beauty. 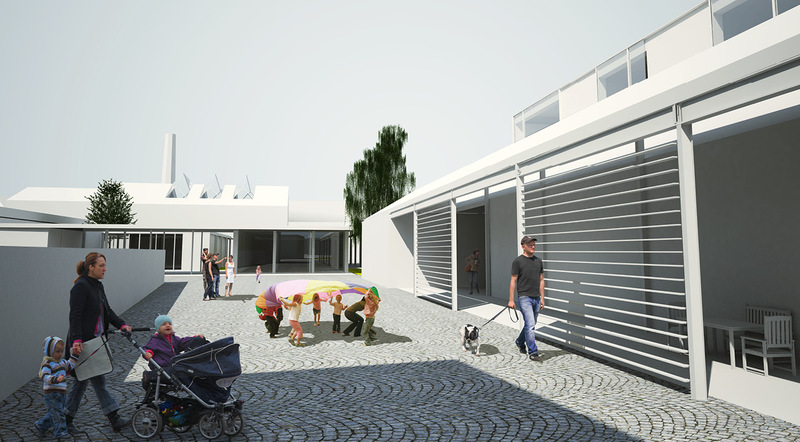 Some features of the new structure: a new and intimate courtyard with a high chimney; the use of the halls as a playground new urban definition; new pathways, new parks, and new urban area as a playground for new architecture. Bringing life to this part of the city and making it economically attractive was our main priority. Our primary focus was concentrated on the use of the old halls. 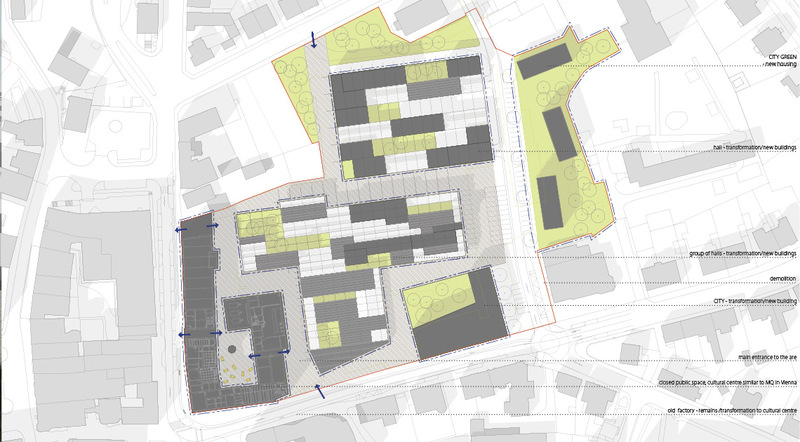 As a bold change, we decided to retain only the raster of the existing columns, using the structure for the new plots. It seemed more natural and less intrusive to keep the existing structure fragments and sections of the halls, transforming them into living areas, shops, cultural institutions, kindergartens, and schools. 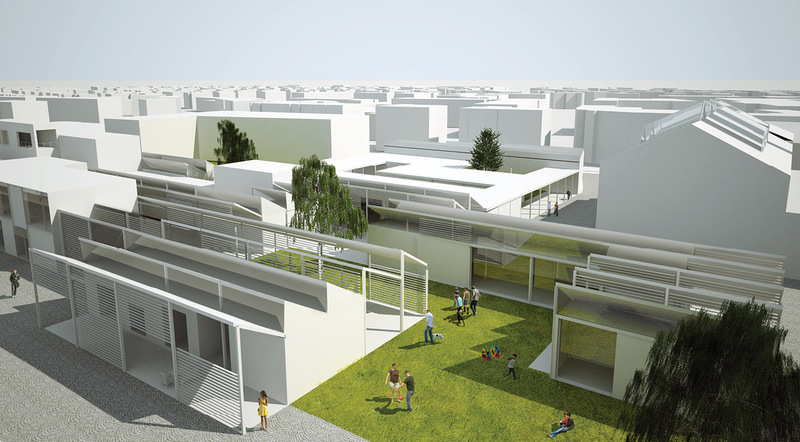 The resulting complex is an urban park amenable to many different activities. 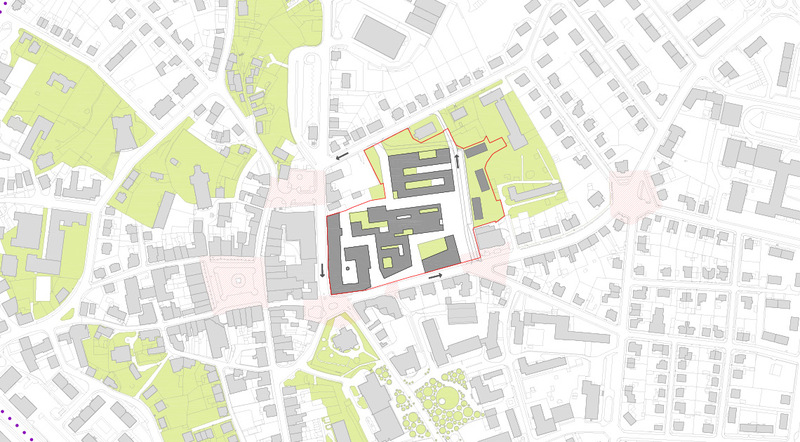 The entire area is divided into parts that can be either sold in order to finance the non-profit buildings, or which can be transformed directly into public buildings. 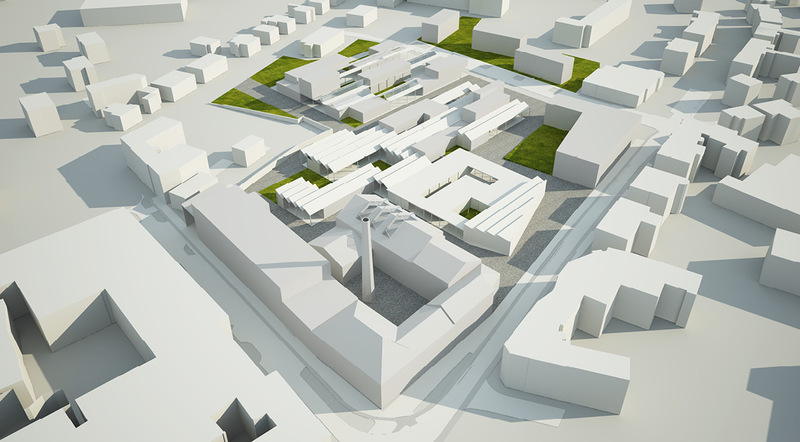 This flexibility would help the municipality of Ústí nad Orlicí to find viable private investors in order to realize the construction.